Tick skydiving off your bucket list with a tandem skydive experience on the Yorkshire Coast. Tandem skydiving is the best way to experience the thrill of skydiving. After a short training session giving you all the information you need to complete a tandem skydive safely you will be fitted into a harness and jumpsuit before boarding the aircraft. Once securely harnessed to your experienced instructor we can take off and climb to around 10, 000ft. The journey up takes around 20 minutes where you can view the breathtaking scenery of the Yorkshire Coast and countryside. When the green exit light comes on it’s time to jump! Take a couple of deep breaths and we’re off. Once in freefall we will accelerate to speeds in excess of 120mph and cover 5, 000ft in approximately 30 seconds before your instructor opens the main parachute. Once the parachute is open you will have a few minutes floating back to earth and if the conditions are suitable your instructor will let you steer the parachute for a while before taking over again for the landing. 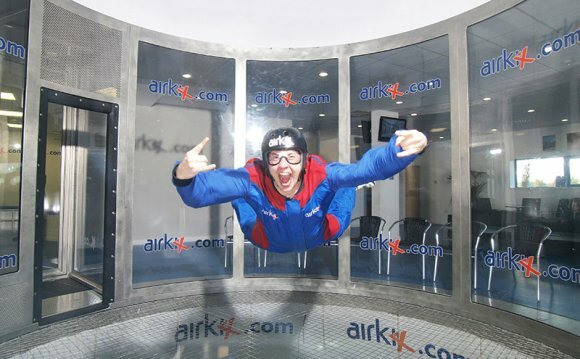 Once safely back on the ground you will be given a certificate to prove you fell out of a plane and walked away to tell the tale and you can then boast to all your friends and family you’ve taken off in planes more times than you’ve landed in them! What's included? The course cost includes the tandem skydive, training, one year provisional membership of the British Parachute Association, the equipment needed for the jump and a certificate – there are no hidden extras to pay on the day unless you want to take the DVD/photo package option (see below).